Aquil “AQ” Charlton comes to Intonation from colleague organization Notes for Notes, where he has been Program Director for the past year. 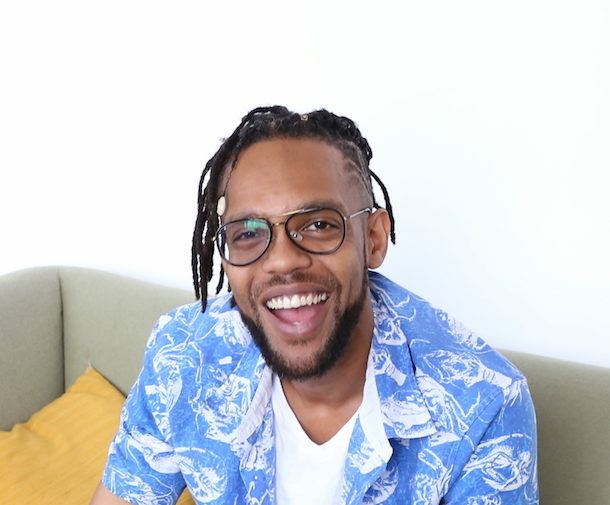 Aquil is also Director of the CPS New Music Ensemble and, prior to that, co-founded The Crib Collective, a social entrepreneurship organization. He has been a teaching artist with CAPE, Urban Gateways, After-School Matters, and The Chicago Park District, among others. Aquil received his degree in nonprofit administration from North Park University in 2011 and was invited on a tour through Pakistan by the U.S. Department of State to teach and perform hip hop as a cultural ambassador just months after graduation. An active rapper and musician, Aquil plays electronics with Afri A Trois, a live afro-house quartet, and live PA group, The Present Elders. As a lead vocalist and songwriter with hip hop and soul band Animate Objects, Aquil has also opened for Lauryn Hill, Dilated Peoples, The Wailers, Mint Condition, Chingy, Kardinal Official, and others. He is also founder of the “Mobile Music Box,” which he moves throughout Chicago by bicycle, hosting public music studio and instrument-making activities. Aquil is a fourth generation Bronzeville resident and father to a 4-year-old genius.